The Next Tailgate Party Turf Winner Could Be You! Clark proudly submitted the picture above when the turf arrived at his home! He now has it stored and ready for the college football season to roll around…we think he’ll be the envy of his fellow tailgaters! 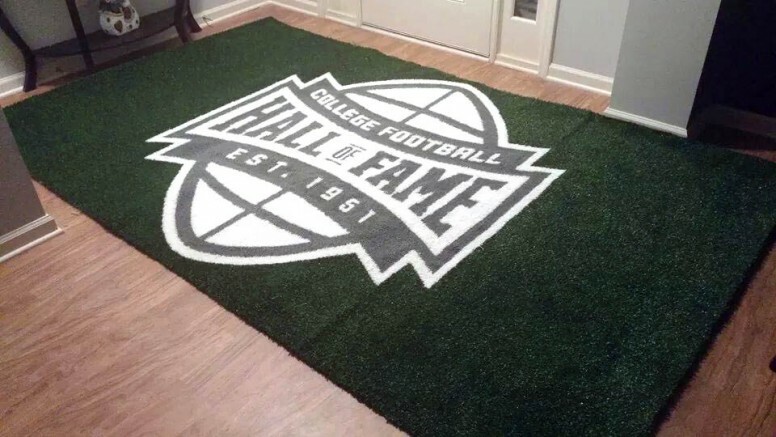 If you would like to own your own piece of turf with the College Football Hall of Fame logo all you have to do is register to win. Winners are drawn every quarter and the ultimate fan experience can be yours!